DBSquared released DBCompensation 10.0 at the beginning of 2017. New graphics are part of this recent software update. See software dashboard page below. 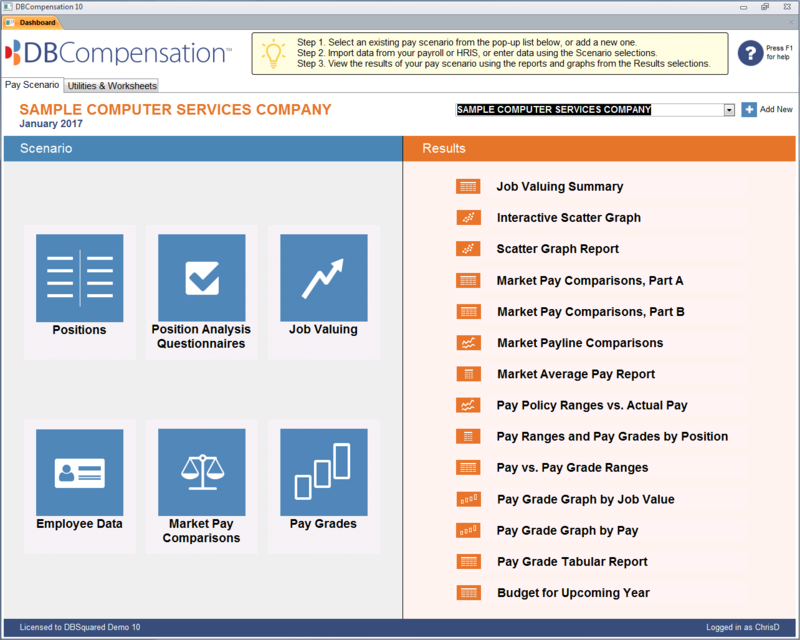 DBCompensation is a web-hosted SAAS compensation management solution that is built upon a proprietary compensable factors job valuing system and the use of external pay comparisons to develop equitable and competitive base compensation pay plans.